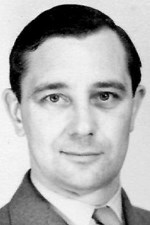 Professor Richard Nairn came to Australia as the foundation professor of Pathology at the newly opened Monash University in 1963. Prior to this he was a senior lecturer/consultant pathologist at the University of Aberdeen, Scotland, having previously completed his medical training and MD and PhD degrees at the University of Liverpool, England. During the war for three years he served as a surgeon lieutenant with the Royal Navy, honing his discipline and effective organisational skills, invaluable for his subsequent career. His initial task at Monash was to organise the undergraduate pathology program for the first intake of medical students. Based at the Alfred Hospital but without a formBiochemistry atrvice commitment, he made clinical immunology the department’s banner. He established one of the first diagnostic immunology services in Australia, with his staff comprising experts on renal, skin and auto-immune diseases. He was a founder of the medical discipline of clinical immunology in Australia and made a significant contribution to the development of training and research at a time when the essential nature and clinical importance of the immune system were just unfolding. At the same time, his vision of immunology as a future area for exciting development in biomedical research led him to develop teaching and research programs in immunology for science, another pioneering activity in Australia. Professor Nairn had a passion for developing technology for immunofluorescence and fluorescence microscopy, editing a seminal text “Fluorescent Protein Tracing” which remained such for many years. He embraced the arrival of flow cytometry with enthusiasm, acquiring one of Australia’s first flow cytometers for the Department. He utilised these technologies in his studies on lymphocyte subset marker identification, tumour immunology and autoimmune diseases. Professor Nairn was an excellent communicator, both spoken and written. He was a strong and forceful leader, and played a major role in shaping the faculty of medicine at Monash in its first quarter century. He utilised his considerable tactical skills effectively at the University as well as on the chess board. He retired in 1984 and later returned to England where he became honorary archivist for the British Society of Immunology. He died in 1995. When Professor James Goding was appointed as Chairman of Pathology and Immunology at Monash University in December 1984, he was the first Monash undergraduate to return to the university as full professor. With a background in medicine and immunology research at Havard and the Walter and Eliza Hall Institute, he set about reinvigorating the Department’s infrastructure and research achievements. In particular he made a number of excellent medical and science academic appointments, leading to a steady increase in research grant success and strengthening the Department’s teaching resources. He also played a key role in the initiation and design of the new Monash research laboratories at AMREP. 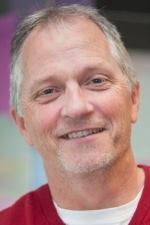 He was an enthusiastic and innovative educator of both medical and science students. Following the Department’s restructure in 2004, he became the Chair of Experimental Pathology in the School of Biomedical Sciences, from which he retired in 2013. Professor Ban-Hock Toh held appointments at Universities in Singapore (1967-1968) and Malaysia (1969-1970), before joining Monash University in 1972. 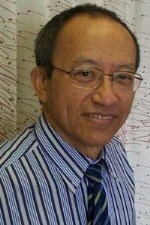 He was Head of the Department (1995-2005) and Senior Staff Specialist in Immunology at the Alfred Hospital (1997-2005). In addition to his teaching and research activities focusing on autoimmune gastritis and pernicious anaemia, he played a key role in the Department’s Diagnostic Immunology Laboratory before it was absorbed into the Alfred’s Pathology service where he maintained a role as consultant immunopathologist. 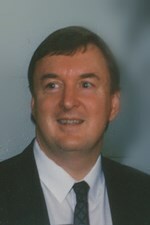 He was Chief Examiner for the Royal College of Pathologists Australia in Immunology (1995-2000) and Regional Editor (Australasia) for Autoimmunity (1993-2001). After retiring as Head of Department at the end of 2005, he continues his active research programs with collaborators at the Centre for Inflammatory Diseases, Monash Medical Centre and the Baker Heart and Diabetes Institute. He is now an Honorary Professor, Monash University, Professorial Fellow, Baker Heart and Diabetes Institute and Immunologist, Healthscope Pathology. Professor Berndt was appointed Head of the Department of Immunology at Monash in 2006. With a strong background in biomedical research at the Baker Heart and Diabetes Institute and the Department of Biochemistry at Monash University, as well as serving for several years as Deputy Dean for Research in the Faculty of Medicine, Nursing and Health Sciences at Monash, he provided excellent research career mentorship for staff and students. He has received numerous national and international research awards, including a Distinguished Career Award from the International Society on Thrombosis and Haemostasis in 2003. His particular research interests in inflammation and vascular biology provided important new linkages for the Department’s research programs in immunology. In 2008, he accepted the position of Head of the College of Medicine and Health, University College Cork, Ireland and subsequently, Interim Director of the Biosciences Institute, UCC. He is currently Pro-Vice Chancellor of Health Sciences at Curtin University, Perth. Prof Mackay obtained her PhD in 1994 at the Louis Pasteur University in Strasbourg, co-supervised by Dr Werner Lesslauer (Hoffmann La Roche, Basel Switzerland) and Prof Diane Mathis. She then joined BiogenIdec Inc in Boston where her work on autoimmunity and cancer led to many patents and the development of a new treatment. In 2000, Prof Mackay joined the Garvan Institute in Sydney as a Wellcome Trust senior research fellow. Her lab at the Garvan discovered the role of a new molecule named BAFF/BLyS as a key B cell survival factor. In July 2009, Belimumab, a therapeutic antibody neutralising BAFF met the primary endpoints in a phase III clinical trial with lupus patients, run by GSK and Human Genome Sciences. This treatment was approved on March 9th 2011, the first new treatment for lupus in over 50 years. 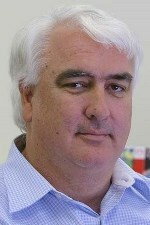 In 2009, Prof Mackay became the 5th Chair of the Department of Immunology at Monash University. She is a NHMRC Senior Research Fellow and has authored over 100 articles/reviews/book chapters, many in high impact factor journals such as Nature, Journal of Experimental Medicine and Journal of Clinical Investigation. She is a consultant for several biotech and pharmaceutical groups. 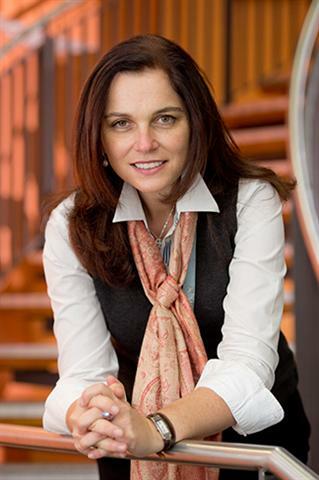 In 2012, Prof Mackay received the Thomson Reuters Australia citation and innovation award. Professor David Tarlinton is Head of Department and laboratory head for the Immune Memory Laboratory in the Department of Immunology and Pathology. He completed his BSc degree with Honours at the University of Sydney before undertaking a PhD with Professor Len Herzenberg at Stanford University, California. This was followed by a three year post-doctoral period with Prof Klaus Rajewsky in Köln, Germany before returning to Australia as post-doctoral fellow with Prof Sir GJV (Gus) Nossal at the Walter and Eliza Hall Institute in Melbourne. He was appointed a laboratory head and NHMRC Research Fellow in 1997, a Senior Research Fellow in 2002, Principal Research Fellow in 2009 and Professor in Medicine, Dentistry and Health Sciences at University of Melbourne in 2014.